Chronicling the fifteenth and sixteenth centuries and journeying from the Piazza San Marco to the villas of the Veneto, this vivid and authoritative survey of architecture, sculpture, and painting offers a rich perspective on the history and artistic achievements of Renaissance Venice. 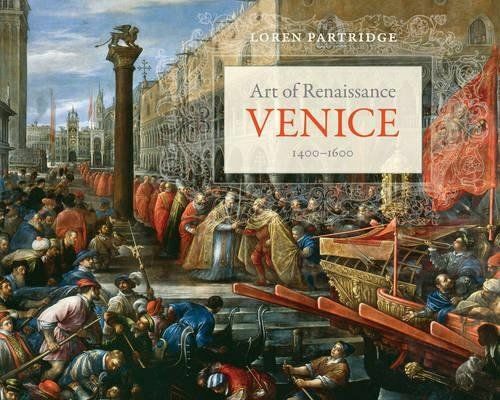 Distinguished scholar Loren Partridge examines the masterpieces of Venice’s urban design, civic buildings, churches, and palaces within their distinctive cultural and geographic milieus, exploring issues of function, style, iconography, patronage, and gender. Readers will also discover fascinating in-depth analyses of major works of such artists as Giovanni Bellini, Carpaccio, Giorgione, Palladio, Tintoretto, Titian, and Veronese. Designed to appeal to students and travelers alike, this essential guide to the art and architecture of Renaissance Venice brings La Serenissima to life as never before.